I was searching YouTube videos for context that I could use in a Video Art project that requires appropriated files. All the videos were replaced with a “missing plug-in” message. Yikes! 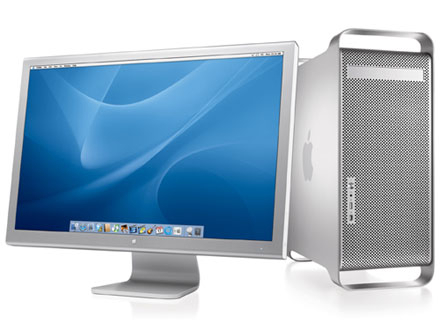 I have non-Intel processors in my 2004 Mac G5 PowerPC and most of the newer software only supports Intel. I’ve topped out at CS3 in Adobe software and have a new MacBook Pro to keep up with newer versions and to run Final Cut Studio. The upgrade has been an exciting transition but I still enjoy the comfort of working at “Big Mac.” I invested in more RAM—an increase from 1GB to 4GB—and decided to keep Big Mac as a digital photo powerhouse and for GarageBand compositions. I play a little guitar, piano, and recorder, so it’s fun to combine the tracks in GarageBand. It took hours of searching Google and numerous uninstall/install attempts to solve the Flash Player problem, but I finally found a forum post that led me to restore defaults in Java preferences. All is well, now, and YouTube videos play in Firefox, Safari, and Netscape. To be honest, I don’t know much about Java but I’m very thankful that Donna9802 does! 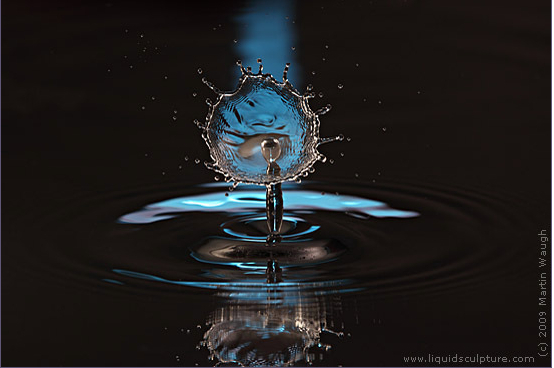 In the early 90s, I created a company logo for “Quiet Inspirations” that incorporated a water droplet splash. Martin Waugh‘s fantastic high-resolution photographs capture liquid—in motion—with high-speed photography. I didn’t see images like this one, in the 90s! “Moonlight Surprise” is among my favorites.